We don’t have many grassroot events in Norway, nothing official at least! That’s about to change, with Generation Stanced: Yes, we drift it. A grassroot invitational. 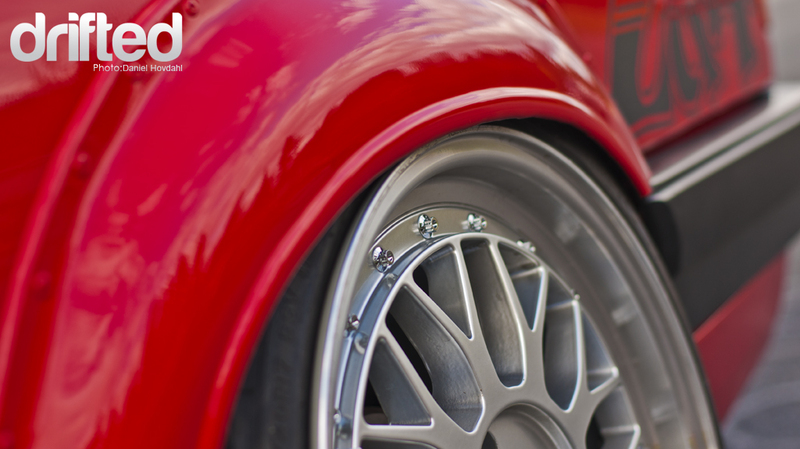 Although the focus of these cars is stance, these vehicles weren’t built to hardpark. No, they’re used, and used hard. More pictures, a bit about some of the drivers there and a short video of the action after the jump! 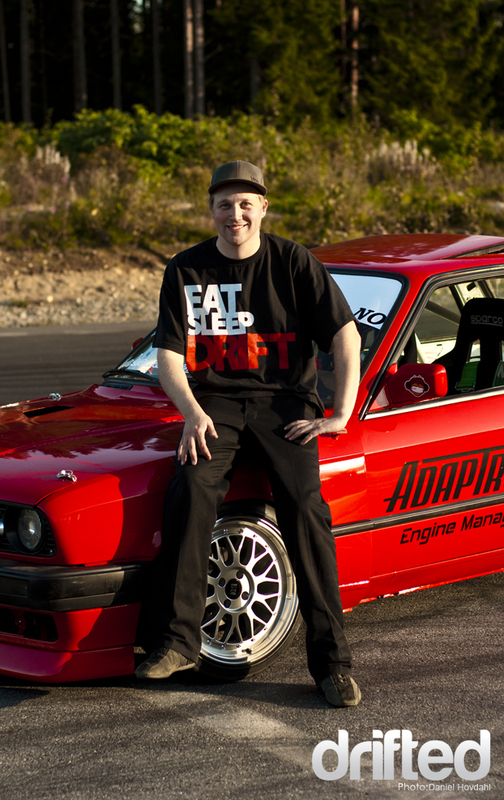 The driver of the red BMW E30, Joacim Flatby Nielsen has spent the entire season rebuilding is E30 from the ground up again after two years of thrashing it. It is looking as beautiful as ever! 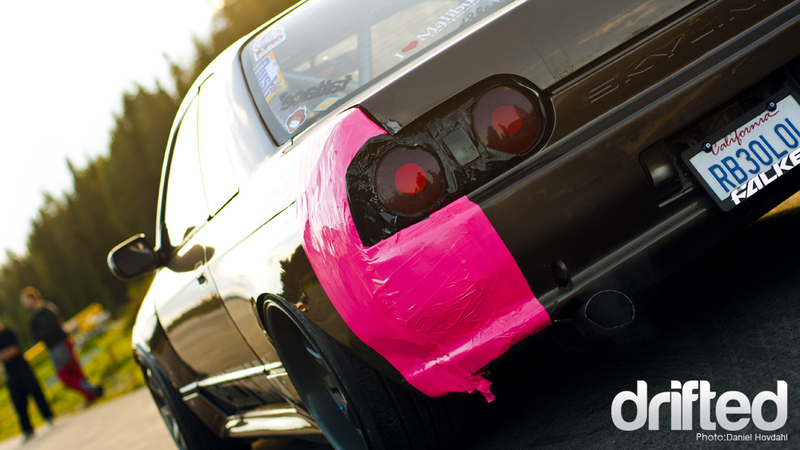 What got you into drifting? 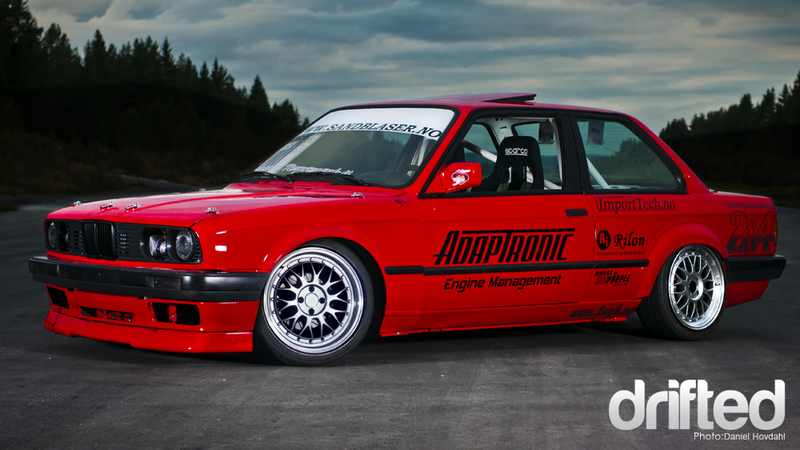 Joacim: I was already working on my E30, fixing it up when I saw Fredric Aasbø drift his old E30… Hmm, E30’s work to drift with! When I saw him hit it sideways at Rudskogen, it inspired me to give it a go myself… It works! I thought you had to have a Jap car to drift, but I was sure wrong! Joacim is rocking GS-Silver Tracks, 8.5×17 et 25 all ’round with 35mm spacers up front and 25mm at the back. Although he says he’s gonna space out the rears a little more and lower it further to get an even more extreme look! The youngest drifter of the day, Emil Lundblad Christiansen. He’s 19 years old from a town called Fredrikstad. Currently 1 year in as an intern to become a carpenter. Emil: I started when some of my friends were starting out, I got interested and got hold of this car through Power Vehicles. 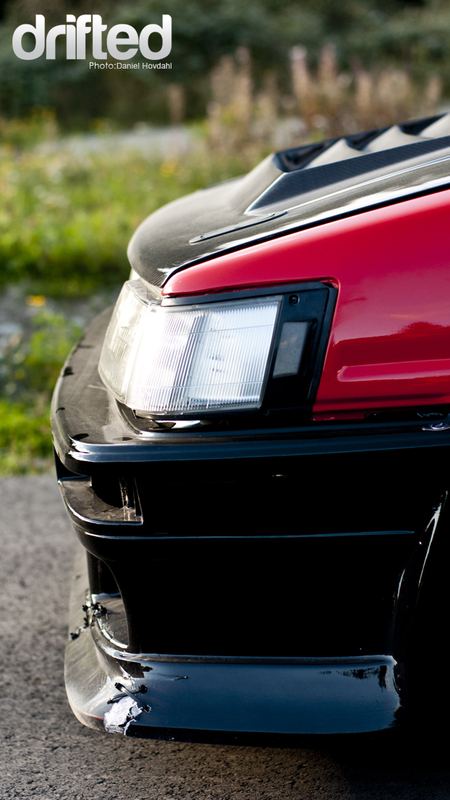 It’s a pretty standard 1JZ-GTE, estimated to only push out 300bhp with minor improvements. 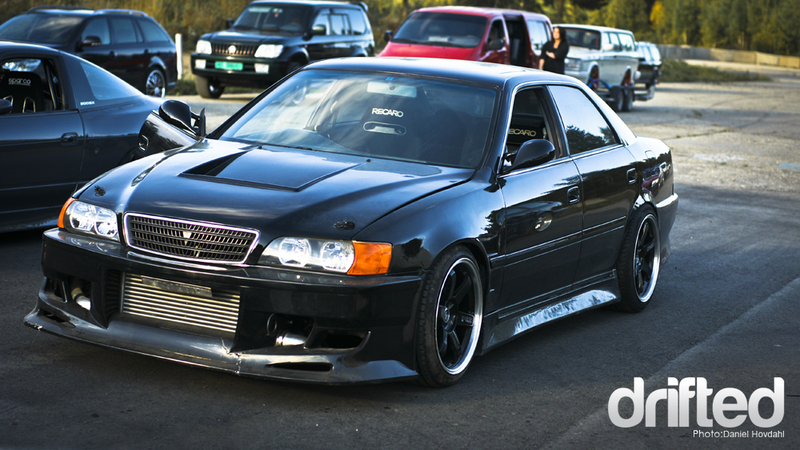 Such as; Intercooler, custom exhaust, an induction kit with a set of Tein Driving Master Coilovers and a Tomei 2-way LSD. He’s got big plans for this car next year! Watch this space. 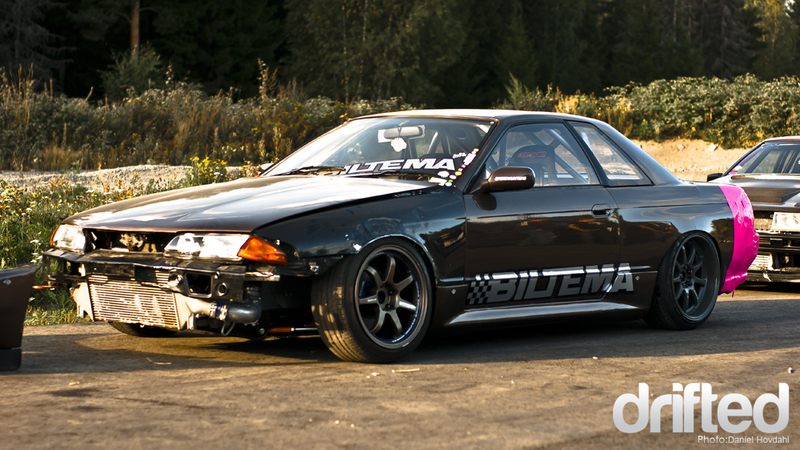 This rb26’d, 425 hp & 473 nm, 1993 R32 with full GT-R styling was picture perfect this spring. Spotless and freshly built, but I like it even more as it stands now. Joachim Waagard is, as you can see, not afraid to use his car! It is sporting 9×17 Weds sport up front, 10×18 et 18 Work Emotions XD9 at the back. The car has quite a few modifications to compliment the aggressive stance. 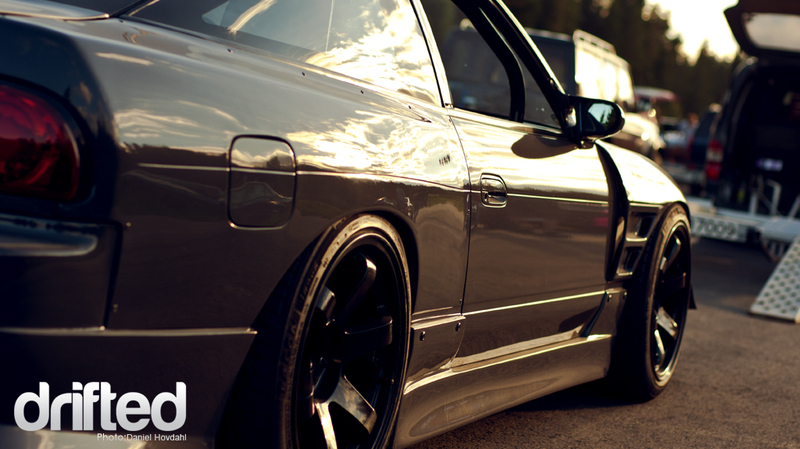 S15 front suspension and arms, GT-R brakes all ’round, and some Driftworks and PBM goodies to keep it sideways. Used and Abused certainly applies to this car. Reason for all the tape is that Joachim got a bit too friendly with a wall at a recent Powerdrift event that I sadly couldn’t cover! 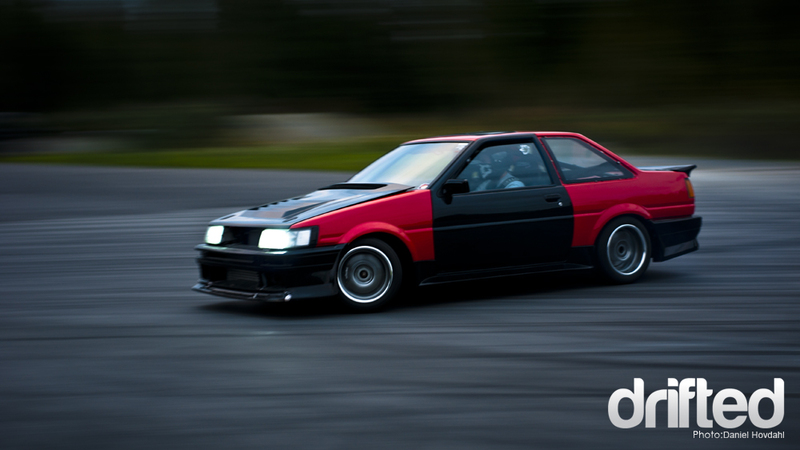 28 year old Toyota mechanic Fredrik Gustavsen with a very rare AE86, maybe the only coupe version in Norway! D-Max carbonfibre hood, Origin bumpers and skirts and a TRD knock-off ducktail spoiler to wrap it all up in a pretty little bow! Farmen Performance – Trond “Megatron” Henriksen showed up as well! Can you spot something odd with this picture? 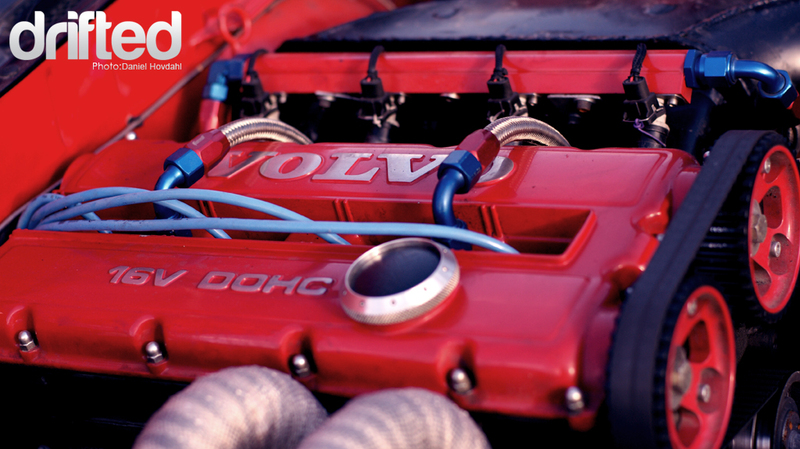 Just how cool is this… A Volvo 230-DOCH 16V lump sitting in an S13. You don’t see that everyday, that’s for sure! 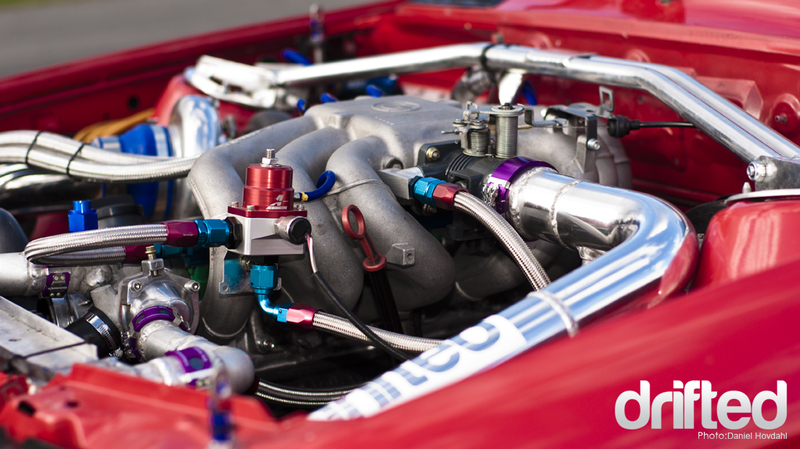 It really does sound awesome, especially with the custom in-house produced manifold which you sadly can’t admire from these pictures… My bad! 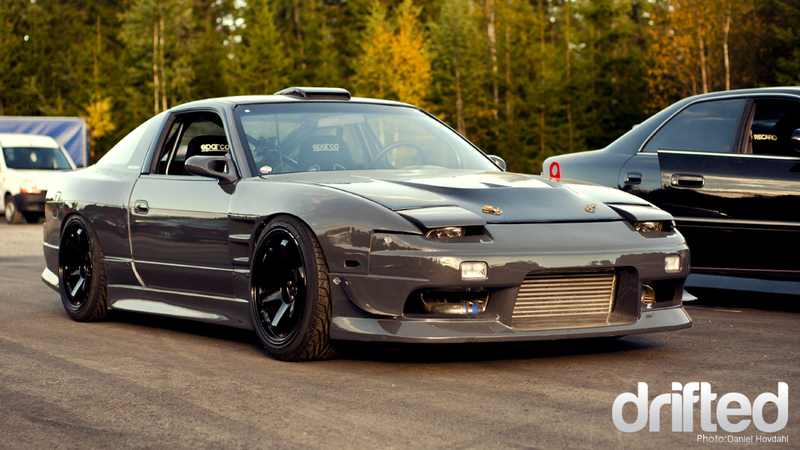 Yet another S13, and yet another pretty special one owned and driven by Rolv Anders Jacobsen. Look at how nice that looks! 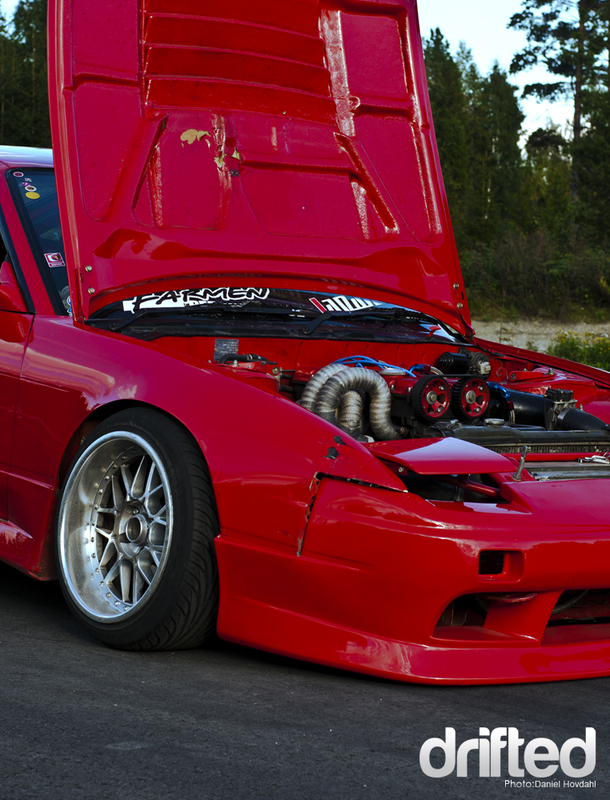 It’s an ’93 Redtop SR20 S13. Pushing out 320 horses and 450 NM’s from the wheels through a HKS 6-speed Dogbox. 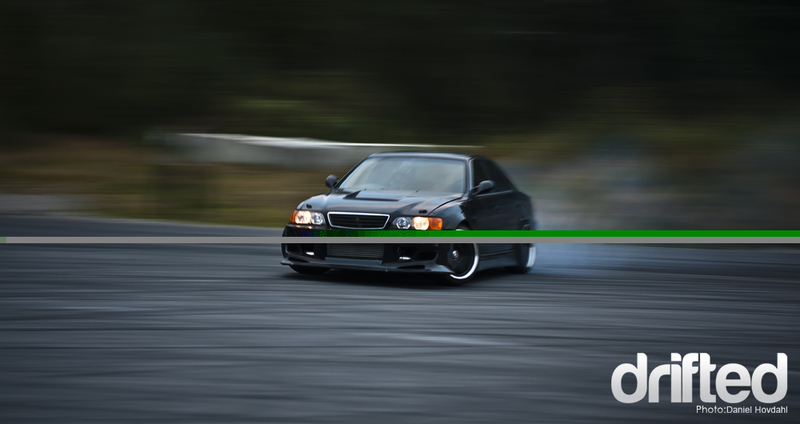 For track use he uses Rota Grid’s 9,5×18 ET5 at the back and 8,5×18 ET5 sitting snugly up front. For show he has a set of genuine Work Bersaglio’s in 19’s which look amazing on this car! And here’s the short video I got together from the short event as well! 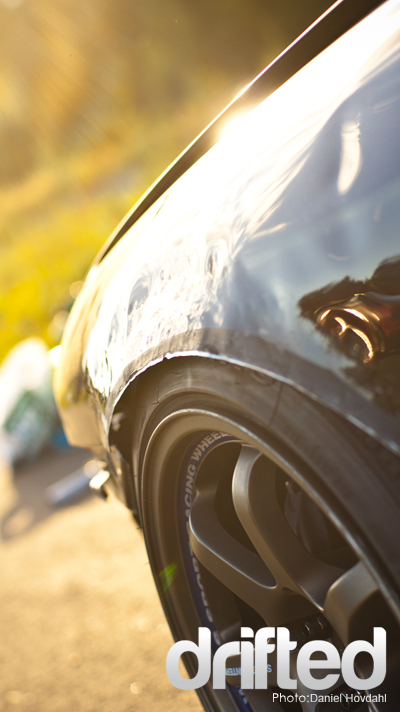 Generation Stanced: Yes, we drift it – Vol.1 from Daniel Hovdahl on Vimeo. We’ve planned to host this event next summer as well. Next time it’ll be more organized and we’ll have the track for ourselves an entire day. We got great response to this one, and everyone there was very positive and eager for the next. I’ll of course be there to cover the action, more pictures and an even longer and better video than this one. 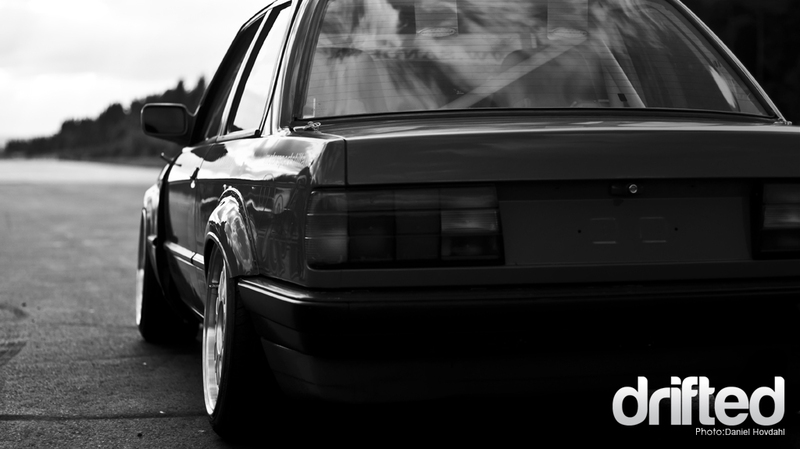 I’ll leave you with yet another picture of Joachim Flatby Nielsen’s E30. « SNAPSHOT: Ken Block Found?